Forex pips are the smallest units of the price of online Forex currencies. Forex currencies are made of five numbers, when the decimal point usually appears after the first number. Finding out about the meaning of Forex pips can help you while trading in the online Forex trading market. This is apparent for example for the EUR/USD Forex quote, that appears as 1.2756 for example. This means that one Euro is worth $1.2756 US. If the currency is said to rise by one pip, it means the last digit changes, and the new pair show 1.2757. In accordance to this, if the currency drops 10 pips off the original figure, it will now be worth 1.2766. 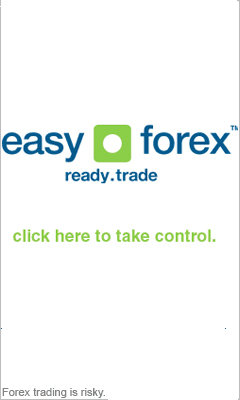 When trading with the online Forex market, there is no need to stay updated with the complete currency pairs. Instead, it is enough to notice the Forex pips change during a certain time frame. This way you know the direction of the currency without the need to go back and see the previous pair worth. Even though the figure of a few Forex pips may seem negligible, remember that when you are placing online Forex orders, all trading transactions are leveraged, so ten pips rise/drop might actually be worth $10 or more for you, even though the actual pips are worth $0.001. Forex Ticks - Much like forex pips are used to count the smallest change in the currency, ticks are the smallest amount of time betweeen two trades. Ticks time frames can vary from less than one second to days appart, depending on the sort of currency pairs and the time of trading.